The first time I ever visited Savannah was when I was in college at Florida State. That was more 8 years ago. It’s hard to believe. My sorority planned a weekend trip and I of course signed up because a trip to a new town sounded amazing! We ended up staying in the heart of downtown Savannah during the winter. We ate at Paula Dean’s The Lady and Sons restaurant, visited Tybee Island (where Miley Cyrus film, The Last Song was filmed), climbed a lighthouse and walked a majority of the 26 squares in downtown. Fast forward to 2018, my parents planned a family trip to Georgia the beginning of July and our first stop was none other than Savannah. If you have read my blog recently, you know that I was in Oahu for the whole month of June. My trip to Hawaii just so happened to back up perfectly to my family vacation. I left Oahu on a Wednesday, arrived home Thursday, re-packed, slept in my bed for a night and hit the road to Savannah on Friday with my family. It’s been a whirlwind of travel that I’m so not used to! When I was in Hawaii I picked up this super cute palm print romper and earrings from a favorite boutique on the island called Mahina. 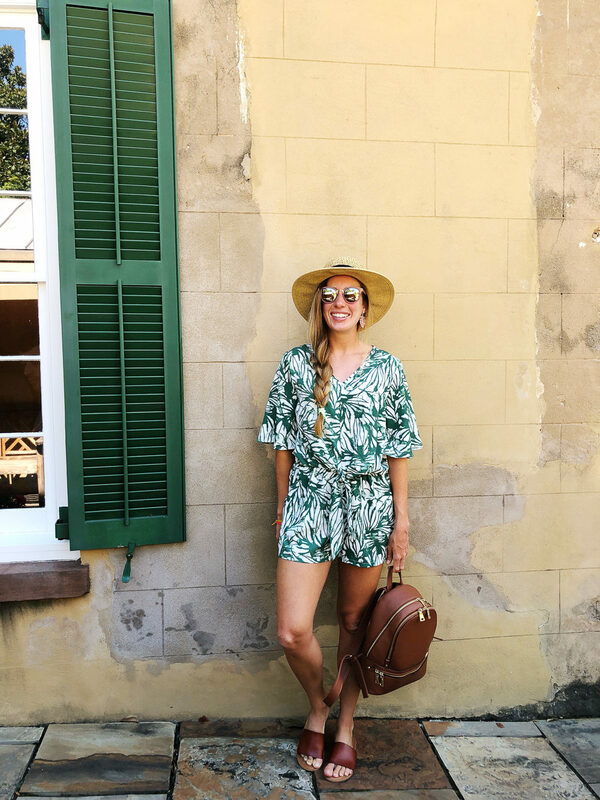 Rompers are the way to go for the summer heat. 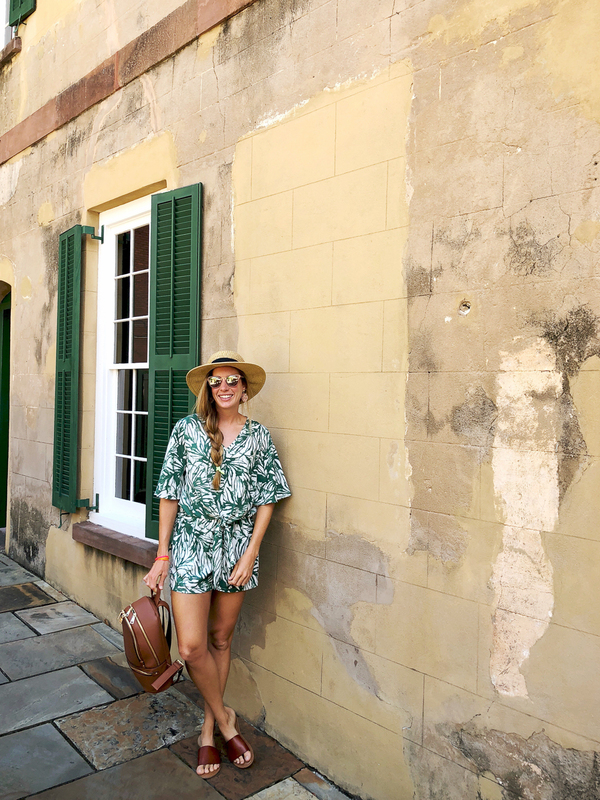 Weather your in Savannah or anywhere that’s warm, rompers will save you and still keep you lookin cute! 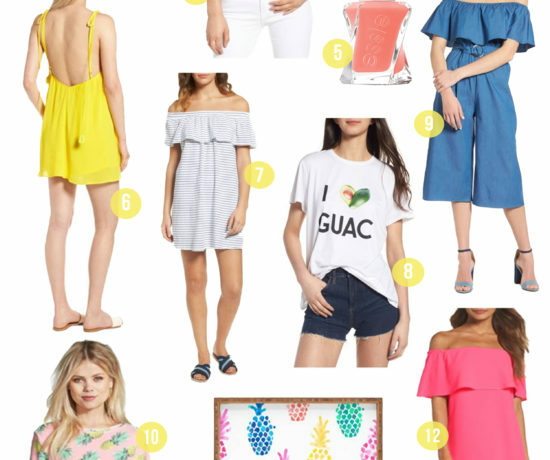 I love how every summer palm prints become so popular and seem to be sold everywhere. The Florida girl in me gets a tad excited! I could wear palm print all year, every year. 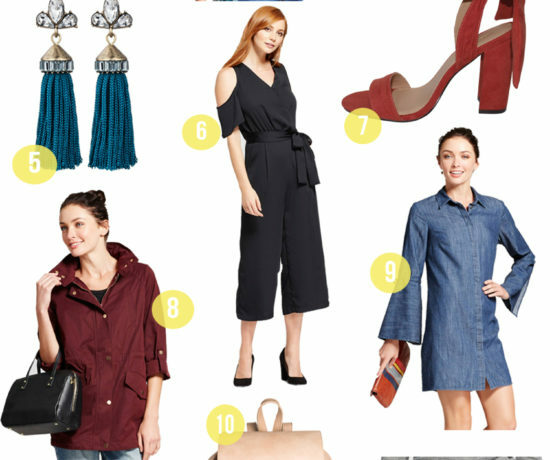 Pair a romper with a colorful statement earring, neutral bag and slide sandals for your warm summer travels. 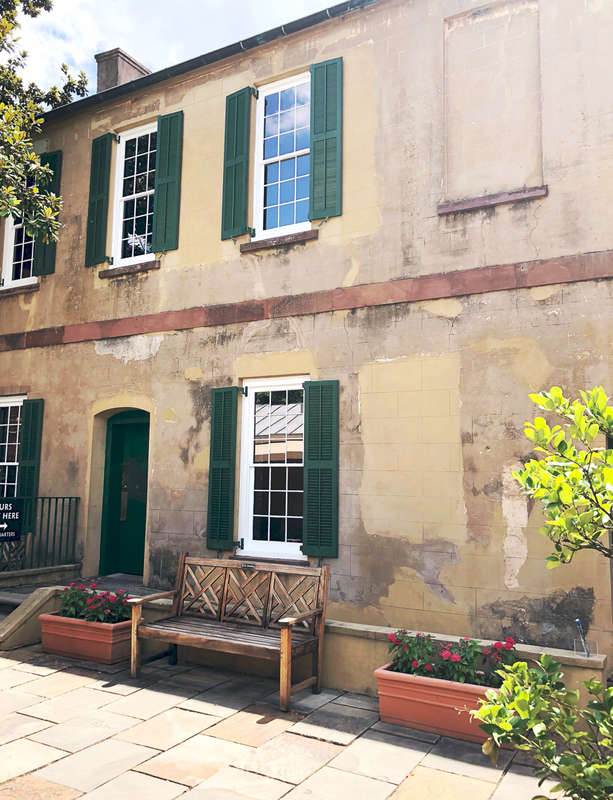 Since we were only in Savannah for 48 hours, we mostly walked around the town squares and Riverfront street, scouted out pretty historical houses, ate and shopped a bit. 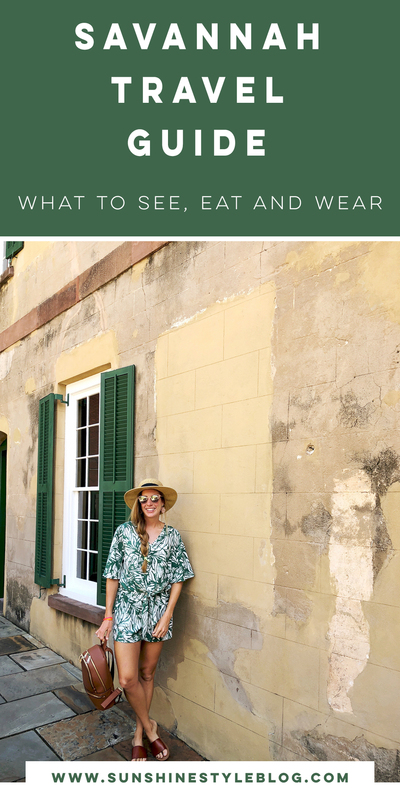 I know it’s always helpful when others post about what they did in a new town, so I thought I’d give you a mini Savannah travel guide of where to shop, eat, and what to do and wear in Savannah, Georgia. This was a super short trip and we covered such a small portion of Savannah. There’s so much to explore and discover. The best thing to do is step onto Broughton Street and start walking. You will find delicious restaurants to eat at, cute boutiques and will surely stumble upon beautiful architecture on every corner. The city itself is incredibly beautiful city with tons of rich history and pretty buildings. It has a strong downtown/hipster vibe with SCAD being just around the corner and a big music scene. Neither of which are very “me” since I’m a beach girl all the way but it’s still fun to visit new places. If I go again, I will make sure to hunt down all the colorful houses with white fence porches! Our first big stop was the Owens-Thomas House. 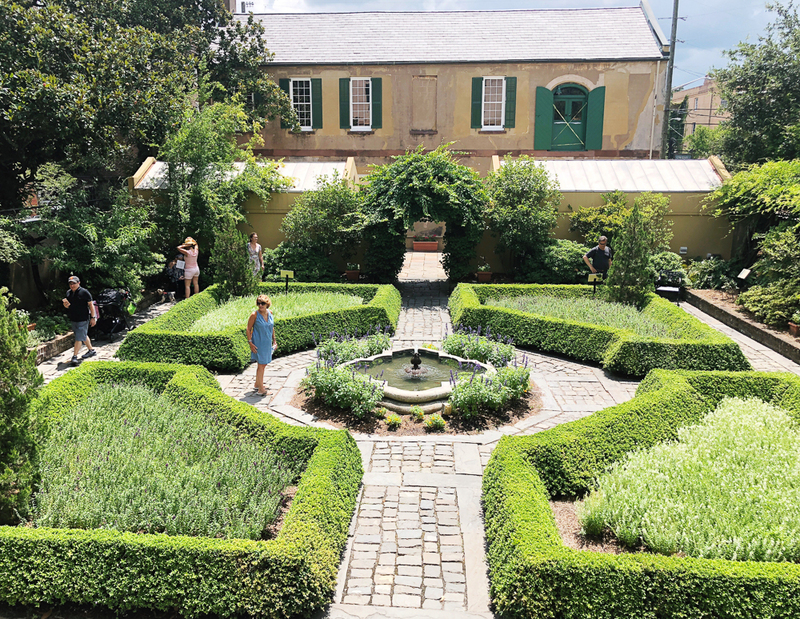 Before our tour, we had time to walk around the really pretty garden – also the backdrop we used for these photos. These were taken on an iPhone. Instead of carrying around my heavy DSLR, I love using the iPhone 8+ because of the amazing quality. Be on the lookout for an upcoming post on how I edit my Instagram photos (hint – a huge portion of them are shot on my iPhone)! Savannah in the summer is much different in the winter. It was so hot this time around. Basically everything I did with my family revolved around staying away from the heat. We got fortunate our second day there because it rained which gave us a cloudy/shaded day! 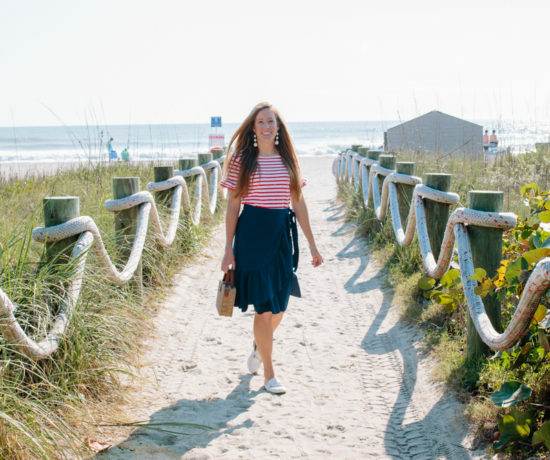 I’d make sure to plan a day (or stay on the island) to take the 30 minute drive to Tybee Island for the day to escape the heat and enjoy the beach! Tybee was my favorite part of my college trip and a place I would 100% go back to! Just look at how adorable these Mermaid Cottages are! This is very touristy but worth checking out, even if you just go down there for the beautiful river view and candy shops (my personal fav ha!). I did end up buying a Stetson hat with a wide brim from The Mad Hatter and it’s exactly what I had been searching for! 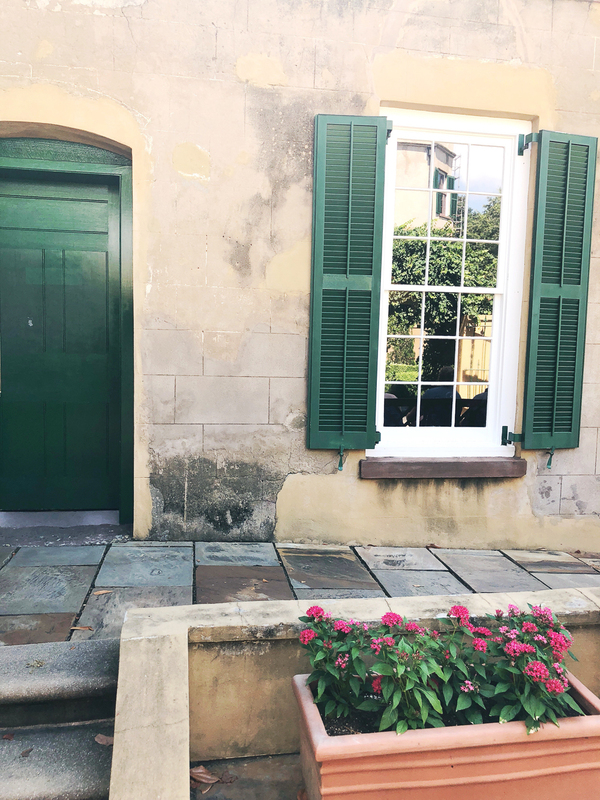 Other than a quick pass through, my family and I enjoyed wandering through the parks and streets much more where we’d stumble upon little gems and cute homes. 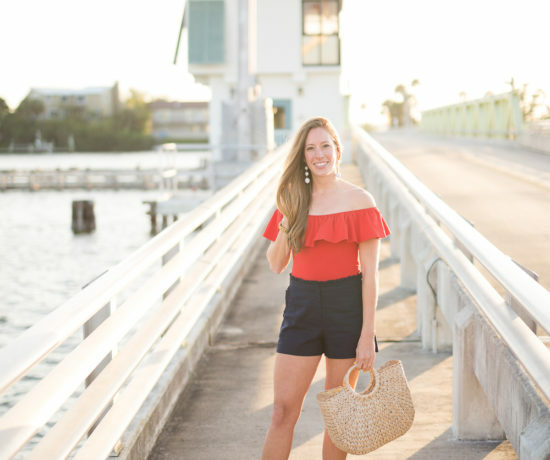 Make sure to pack a few rompers, dresses, high-waisted shorts, a denim skirt and loose fitting tank tops to pair with the bottoms. Don’t forget to bring open toed sandals like these slides I’m wearing here which are under $15. 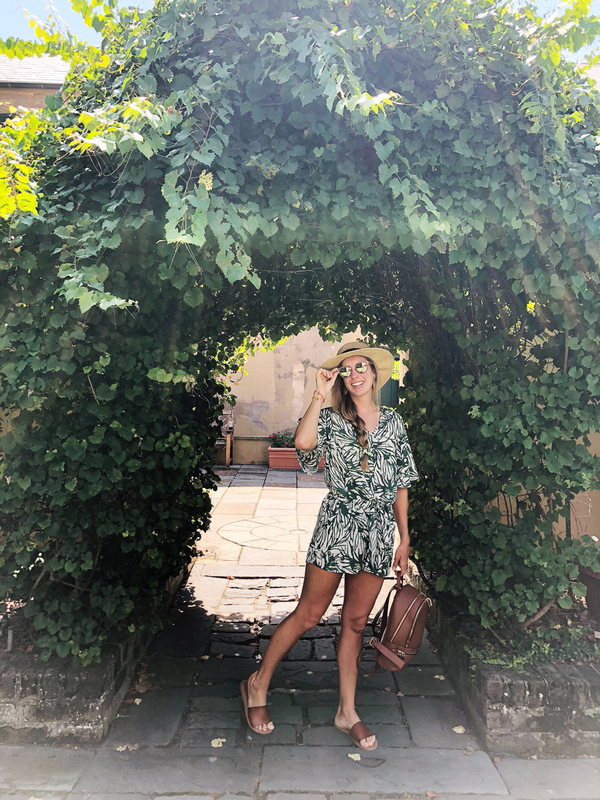 My favorite way to roam a new town is wearing a romper. 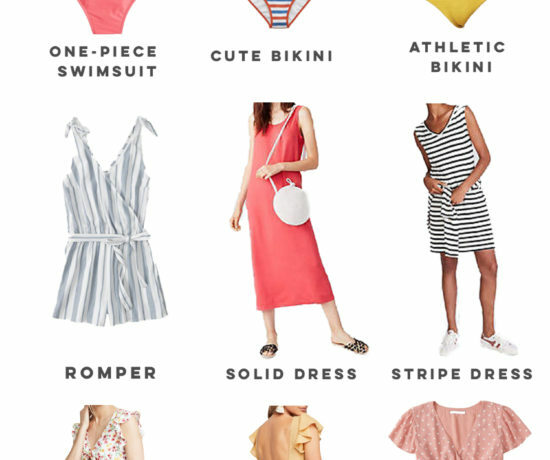 There are so many cute options like the tie front one I’m wearing in a striped, floral and a solid white version. 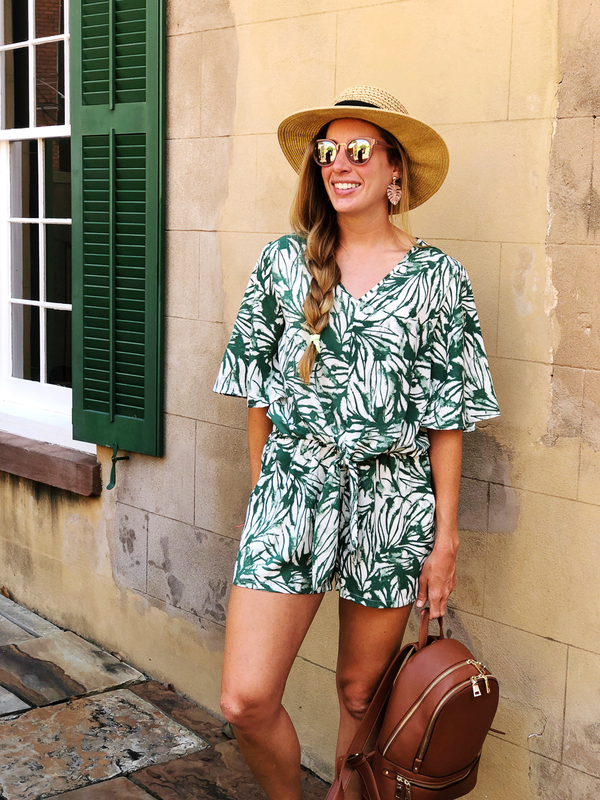 Luckily, if you love the palm print as much as I do, this one shoulder one, this open shoulder style and this wide leg romper are super cute summer finds. 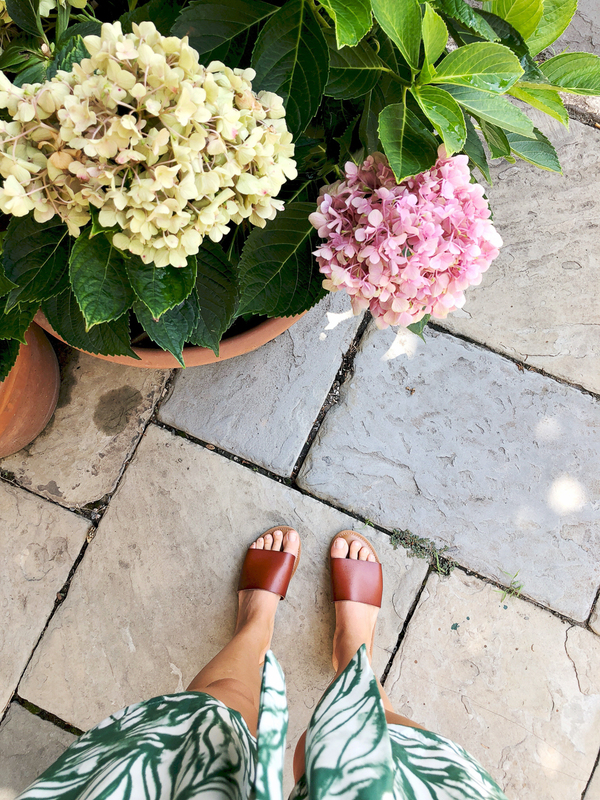 These are my new favorite sandals for summer. I bought them when I was in Oahu at the closest Target an hour away from me. I had been keeping my eye out for this exact style since it matches with everything. I was torn between a budget friendly pair and an ethical pair from Nisolo I really wanted. Since I was on a tight budget while in Oahu, I chose the cheaper version for now (only $12!) and plan on saving for this leather pair to buy in a few months. Hands down the best shopping around. 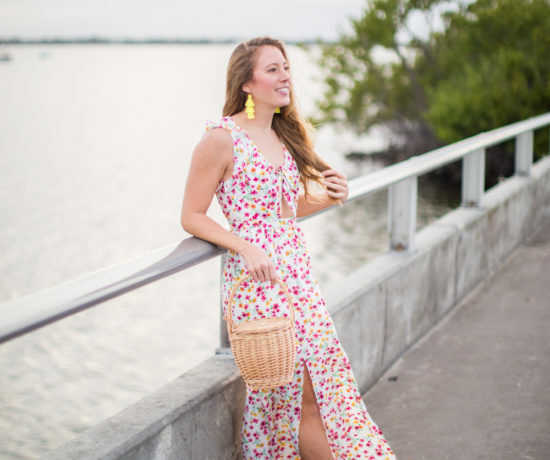 After being in Oahu and staying in a pretty remote town for an entire month, you can imagine the excitement when stores like Anthropologie, Spartina 449, Urban Outfitters, Victoria’s Secret, Free People, and J.Crew were just around the corner! Bought a cute wallet from this boutique. A really fun modern store that sell really nice leather products! They have a fun array of honey and home products and accessories. I bought a beautiful straw bag with pink leather handles there! Here’s a similar woven french market bag and also one that comes in a round option! 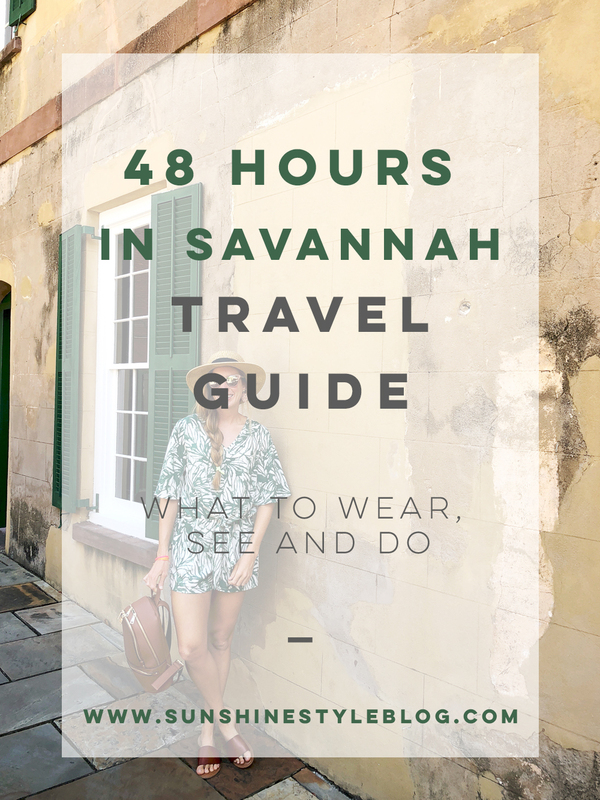 I hope you enjoyed my Savannah Travel Guide! Here’s a fun story to leave you with! Savannah was one of the first big trips I took on my own away from my hometown and one I will never forget. I mentioned above that it was a trip with my sorority. On the way home to Tallahassee (where I lived for college), my GPS ended up re-routing me off the highway (I was the lucky driver since I owned a Jeep that fit 5 comfortably) and it took us through remote country roads that went no faster than 45 mph for almost the entire way home. If I remember correctly, we passed almost no places to eat at or use the bathroom and the most exciting landmarks were trailers upon trailers and a railroad. It doubled our time to get home. You can bet every time I use a GPS now I am double check the directions and roads it’s telling me to take. Welcome back stateside! Savannah is a great place to visit with family! We loved our trip there several years ago. I especially love that there is so much to do just walking around. Can’t wait to hear more about Hawaii! Thanks Kristen! It’s good to be back home! =) Savannah is super fun! Glad you enjoyed your trip there! 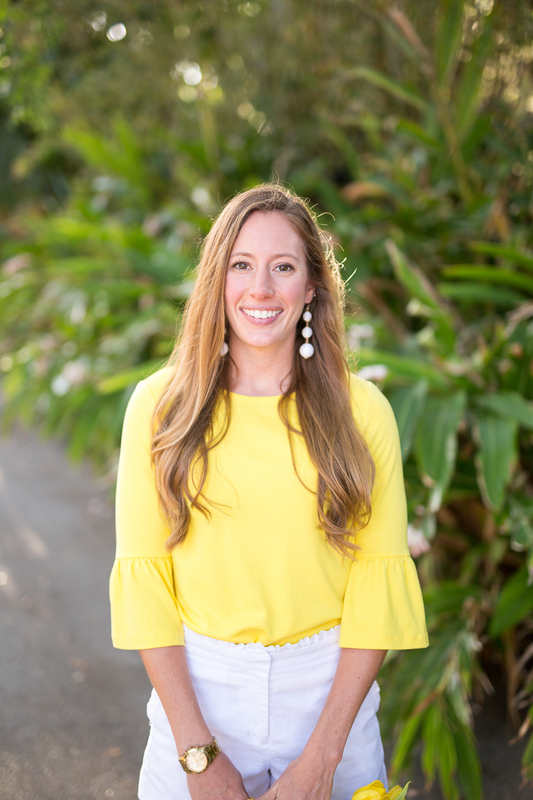 Super excited to share all about Hawaii! Should be up in about 2 weeks!